You can create your magic blueprint in form of a book to help you align your thoughts, relieve anxiety, reveal inner harmony, and gives you the freedom to express your imagination. 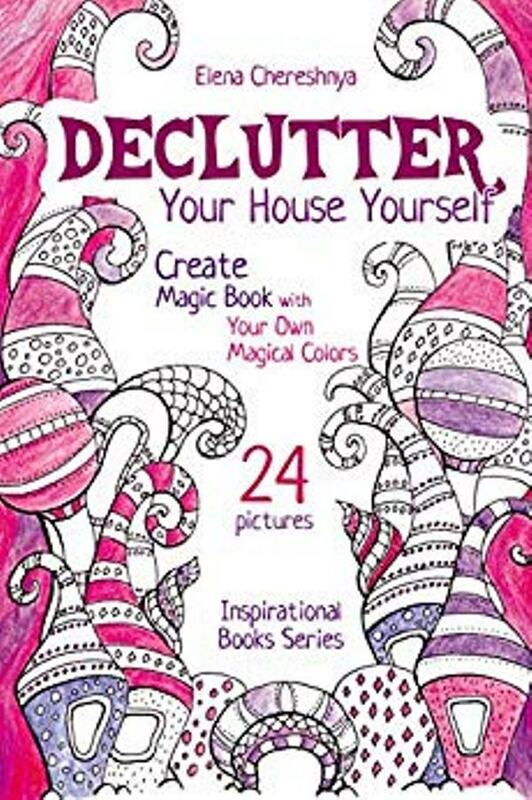 Anti-stress coloring "Declutter Your House Yourself. Create Magic Book with Your Own Magical Colors. 24 Inspirational Pictures" by Elena Chereshnya will help you to comprehend enlightenment and find answers to the most intimate questions. Open all the colors of your "I" and find the harmony in yourself!